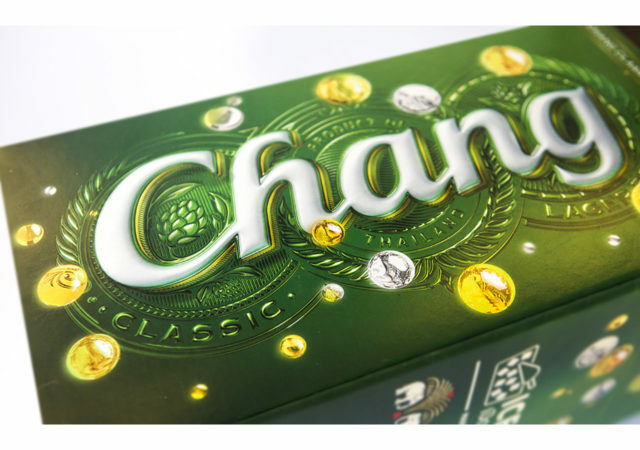 Steven Wilson has been working with creative agency JKR Global on some new work for Chang Beer. 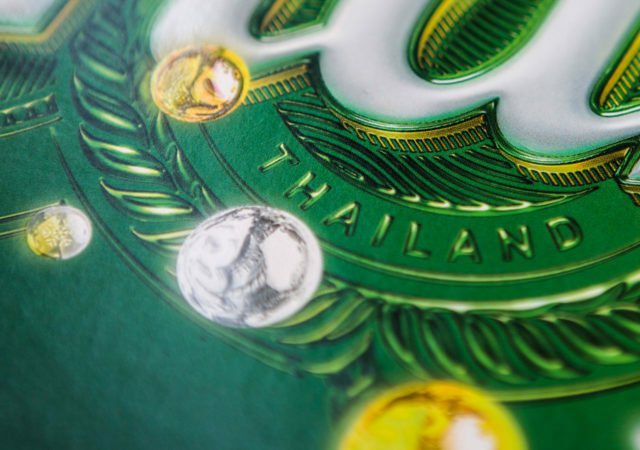 He’s created festive packaging for Chang’s Limited Edition, and is currently in Thailand helping to promote his work. Steven’s design is based around Chang Beer’s positioning of the ‘Golden Moment’, and features gold balls which could be interpreted in a number of ways, from Christmas tree decorations to representing the happiness of having the space, a golden moment, to enjoy the happiness of the whole Christmas period. 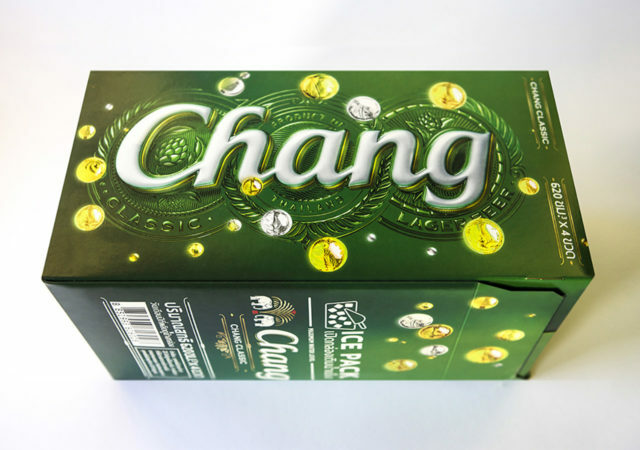 Chang is Thailand’s most popular beer, a golden lager, and has been expanding rapidly into global markets since its inception in 1995. Steven’s design will be appearing on its shrink-wrap packaging for bottles and on the packaging for the rather clever six-can Ice Pack, which contains a space for ice in the middle to keep the beer cool. Steven is the second artist to be granted the chance to create this festive design, in what Chang plan to be a regular festive event, working with internationally-recognised artists.